Skywalker Roofing Company is a full-service, family-owned roofing and specialty solutions business that is proud to be the roofing contractor of choice in rocky mount VA. We bring a wealth of experience to rocky mount and the surrounding areas, as our company has completed over 15,000 projects over the past 15 years. In other words, we know what we’re doing! Skywalker is regarded as one of the best roofing contractors near rocky mount and surrounding areas, and we’d be happy to talk with you about how we can help serve your needs, too. Homeowners can be concerned about leaky roofs, worn out shingles, & damaged slates, but they shouldn’t have to worry about the company who can repair or replace them. Skywalker Roofing can take care of you; we are happy to come out and provide a free initial inspection. Your roof may be giving hints of issues that won’t be obvious until that next heavy rain or snow comes. 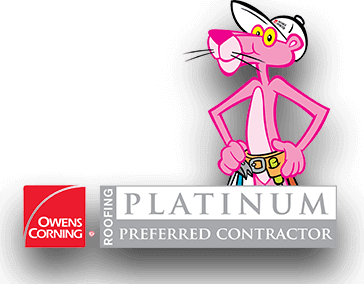 Don’t wait, act now – call the best local roofers in rocky mount! Skywalker is trusted by thousands of families, businesses, and other contractors for roof repair or replacement in rocky mount. No job is too big or too small, and each job we do is the most important project to us. Slate Roofs: For the ultimate in beauty and protection for your house, Skywalker also installs slate roofs. While there are many roofing contractors who serve rocky mount , you need to know which ones are able to take care of your slate roof. We have the tools and experience to install, inspect, and repair slate roofs. We have years of experience helping homeowners and business owners choose the right roof or other solution for their needs. We take our time during the consultation process to make sure that we understand all your concerns. Unlike other local roofing contractors in rocky mount, we always conduct thorough inspections, and we also take the time to listen to you. By working to truly understand your needs, we are can then make the best recommendations about which solution will be best for your home or business. Most roofing contractors won’t go the extra mile with you, but at Skywalker, going the extra mile for our customers is just a hallmark of how we do business.